The features you wish your AirPods had will determine how happy you are with Apple’s AirPods 2, announced overnight and on sale by the end of this month. Tired of a too-short talk time, or having the battery-powered buds run out of puff in the middle of your music playlist? Then the extra life between charges will please you: Apple says the new H2 chip at the heart of these second-gen sticks delivers up to 50 per cent more talk time. Speaking of charging, any hunger for iPhone-style wireless charging will also be sated. 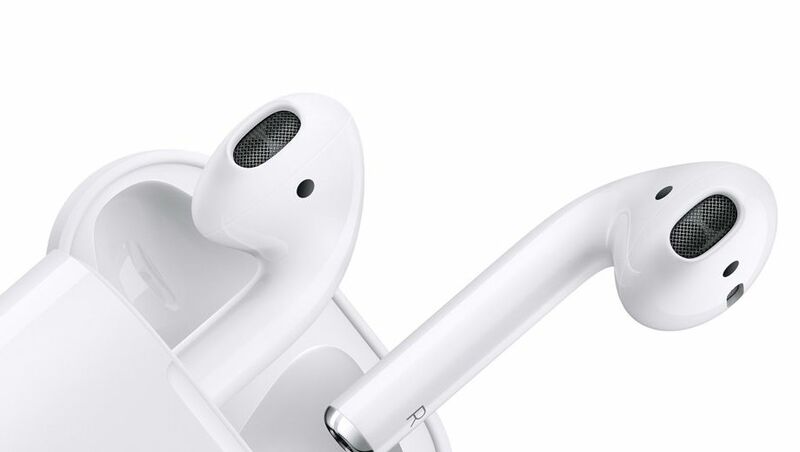 Apple will sell the AirPods 2 with a stand-alone wireless charging case that’s juiced up to provide more than 24 hours of total listening time. There’s a downside in that the wireless charging case is priced at a premium over AirPods bundled with the standard floss-like container: we’re looking at $319 against $249 (the latter being the same price as the first-gen AirPods). There’s also an upside if you’re largely happy with your original AirPods: they’ll also work with the wireless charger, which sells on its own for $129. 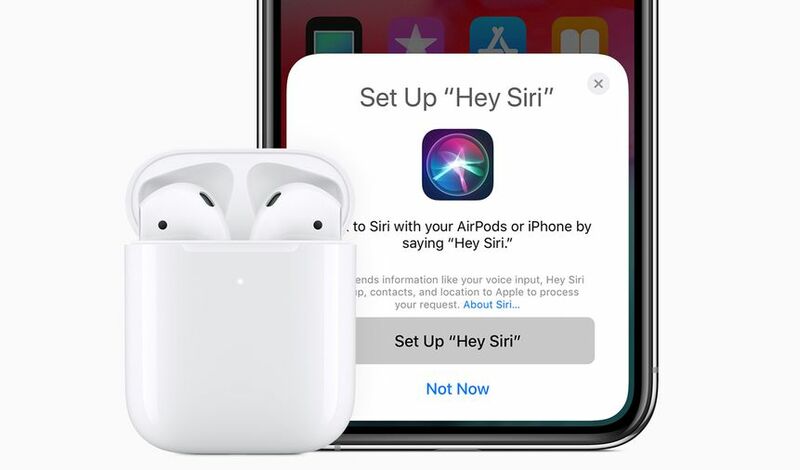 If you’ve become good mates with Siri, which would seem to be the case with the majority of iPhone users, the new AirPods make summoning Siri a hands-free manoeuvre without a deft double-tap of that white plastic shell. Apple also claims the H2 chip provides faster reconnection to and switching between Bluetooth devices, and of course the initial pairing is as delightfully simple as we’ve ever seen. There’s a final flourish which will be sure to go down well at Christmas, birthdays or any time of the year: free laser engraving on the AirPods case (only for online orders) with a personalised message on a single line, up to 18 characters. 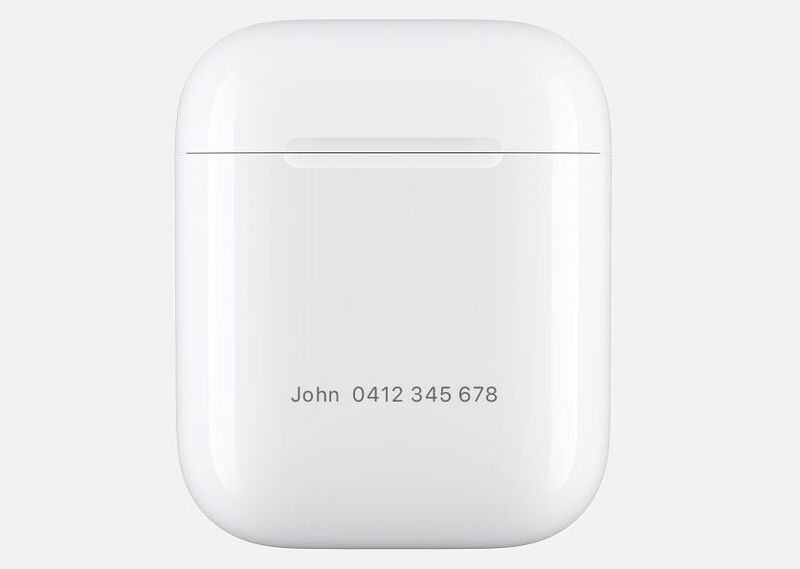 You could even engrave your own AirPods with your name and phone number in case you lose them. All that aside: if you were hoping for Apple to unleash AirPods with water-proofing, noise-cancellation, fitness-tracking (using embedded sensors) or simple better, richer and rounder sound, you could end up waiting for the AirPods 3. Eddies; I don’t reckon the AirPods aren’t for you but I also have the bose sports wireless plus which are a really good middleman if you’re looking for a midrange wireless. They need a firmware update after purchase and only take calls in the R ear but from a music quality (particularly classical; both Mahler and Mozart also hilltop hoods restrung) POV, they are brilliant. They’re not fond of temps >30 though but they’re sweat proof and great on a walk and a bike ride. They don’t fall out easily. I’m also a fan of the AirPods, for their ease of connection to Apple devices and charge-ability. From a music quality standpoint they don’t hold a candle to the bose (partic for classical) but I have put both the AirPods and the case through the wash and they still work perfectly so that’s something. After being anti-airpods for some time, I have just purchased the Airpods 2 and am suitably impressed. Response times have been great, sound quality has been great, battery life very impressive also! After years of Sony wired noise-cancelling headphones, I honestly think I'm converted. 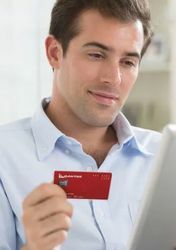 The wireless aspect is more beneficial than first thought. Comment on "First look: Apple AirPods 2 bring more talk time, wireless charging"